Tour Activities Deals | Receive an Exclusive KidZania Christmas Koupons Booklet this School Holiday! Receive an Exclusive KidZania Christmas Koupons Booklet this School Holiday! This school holiday, KidZania Singapore wants to reward you! Simply spend a minimum of S$50 on ticket purchase at KidZania Singapore Ticketing Counters or through our Online Ticketing Site and receive an exclusive Christmas Koupons Booklet, while stocks last. Enjoy savings of more than $1,000 with the Koupons and have a bountiful Christmas and New Year! This promotion is valid from 12 November to 31 December 2018 at KidZania Singapore only, while stocks last. 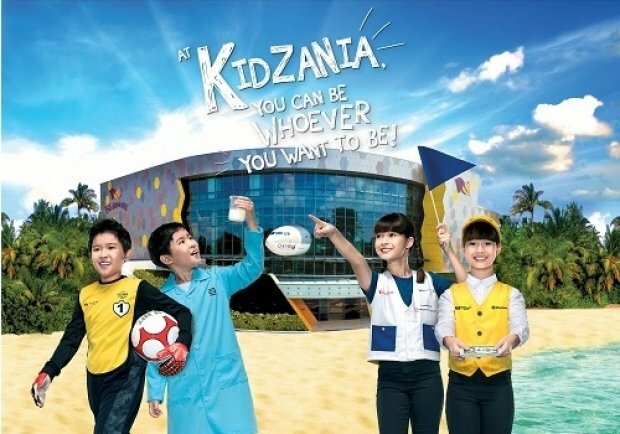 This promotion is only valid on ticket purchase transactions at KidZania Singapore Ticketing Counters or through KidZania Singapore’s Online Ticketing Site. Minimum spending of S$50 per transaction is required to redeem one (1) Christmas Koupon Booklet. 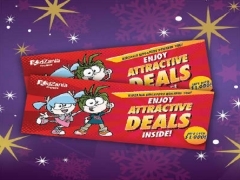 The Christmas Koupon Booklet must be redeemed on the date of visit at KidZania Singapore Ticketing Counters. Limited to one (1) Christmas Koupon Booklet redemption per transaction only. Check out KidZania for more details about this offer and to see all deals up for grab!